On the fourth of July in 1776, the Declaration of Independence, in which the thirteen American colonies declared their independence from Great Britain, was adopted. None of the songs in today’s playlist address the events of 1776 directly. However, the song selection is inspired by our 4th of July holiday. Besides being great songs on their own, the collection represents one of the great things about the United States – its diversity. Long considered a melting pot where people of different backgrounds and beliefs could come to achieve their dreams and goals, the U.S. of A. is powerful and innovative as a result of this blend of people. Today’s playlist represents this diversity with a blend of genres – rock, funk, pop, Broadway, new wave, soul, and then some. Despite our differences, we are one nation, under a groove, with liberty and justice for all. Whether or not you celebrate Independence Day, enjoy this Fourth of July-inspired playlist. From 1958 to 1960, Ben E. King was the lead singer of The Drifters, scoring hits with “There Goes My Baby,” “Save the Last Dance for Me,” “This Magic Moment” and “I Count the Tears.” He suggested to the group’s manager, George Treadwell, that they record the spiritual tune “Stand by Me Father,” but Treadwell turned him down. 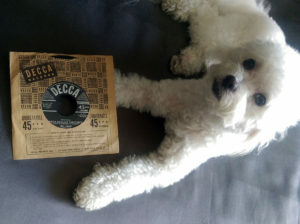 King also asked Treadwell for a greater share of the group’s royalties. Again, Treadwell turned him down. King said goodbye. Around that time, King was working on a song based on “Stand by Me Father.” He had some lyrics and a melody. He finished the lyrics with his producer, Jerry Leiber. Leiber’s songwriting/production partner, Mike Stoller, added some chords behind the melody, as well as a bass line. “Stand By Me” kicks off this week’s Throwback Thursday playlist, spotlighting hits from 1961. From its title, you’d never know that the guy who wrote “Only the Lonely (Know How I Feel),” was content. Orbison wrote the lyrics to this song while sitting in his car outside his house. Being there by himself inspired the sentiment expressed in the song’s title. As he had yet to have any hits as a performer, Orbison offered “Only the Lonely” to the Everly Brothers, who by that time (1960) had many hits, including “Claudette,” written by Orbison. Don Everly told Orbison he should record “Only the Lonely” himself. “Only the Lonely,” written with Joe Melson, became Orbison’s first top 40 single as a performer, reaching #2 on the pop charts in the summer of 1960. He’d go on to have 22 more top 40 singles. On this Throwback Thursday, Tunes du Jour presents twenty great tracks from 1960, kicking off with Roy Orbison’s “Only the Lonely (Know How I Feel),” one of three hits about loneliness to impact the charts that year. So successful was Ruth Brown in the 1950s that her label, Atlantic Records, which started in 1947, was nicknamed The House the Ruth Built. In the 1960s Brown focused on her family life. She returned to music the following decade, and added acting gigs to her resume. 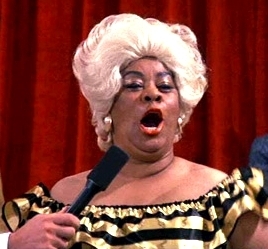 In 1979 she was a regular character on the sitcom Hello, Larry, and she famously portrayed Motormouth Maybelle in the original 1988 movie version of Hairspray, a role which had echoes of her life performing at segregated dances in the sixties. She won the 1989 Tony Award for Best Performance by a Leading Actress in a Musical for her performance in the Broadway show Black and Blue. Her companion album, Blues on Broadway, won Brown the Grammy Award for Best Jazz Performance, Female. In 1993, Ruth Brown was inducted into the Rock and Roll Hall of Fame. She died in 2006 from complications resulting from a heart attack and stroke. Inspired by Ruth Brown, who was born on January 12*, 1928, today’s playlist presents twenty of the best rhythm and blues recordings from the 1950s. Our playlist on this Throwback Thursday focuses on 1956. Rock and roll was in its infancy and many architects of the new style of music were making their marks. Enjoy this collection of classics. Today’s playlist consists of twenty hits from 1959, when the pop charts were one big sausage fest.